JUST when it seemed Honda had surrendered the Civic to mediocrity, it came good in 2016. The 10th generation model restored this once premium Japanese badge to first grade status in the small car class, a position it hadn't occupied for more than 15 years. In common with rivals, Civic is being smashed by the SUV juggernaut. Sales are down nearly 30 per cent this year. For blue chip nameplates such as Toyota Corolla and VW Golf, sales have fallen by nearly 25 per cent. Subaru's Impreza has plunged 67 per cent. 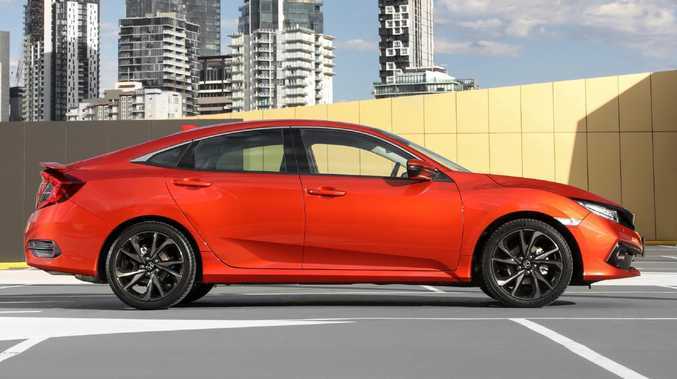 Drive the 2019 Civic update and you can't help but wonder why this is so. The Honda isn't the most exciting drive in the world but, compared with similarly priced SUVs, it at least rides, steers and handles as a real car should. 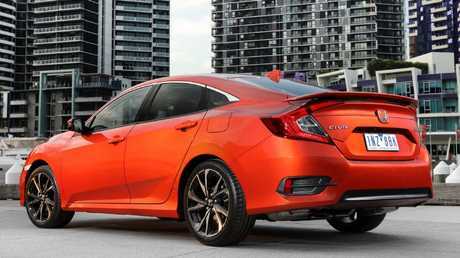 The RS, priced at $31,990, is the sports-flavoured Civic among the five sedan versions. The range opens with the $22,390 VTi and tops out at $33,690 for the luxe VTi-LX. It's powered by a carry-over 1.5-litre turbo four, matched with a continuously variable transmission (CVT) and front-wheel drive. Improvements for 2019 focus on driver assist safety tech, making the touchscreen infotainment more user-friendly and giving the cabin a more moneyed feel, with a leather-wrapped wheel and leather-faced upholstery - both stitched in red - plus higher quality trim. 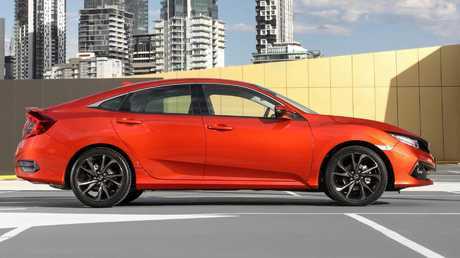 Already one of the most stylish sedans in any class, Honda has also added a lustrous pearlescent orange to the RS exterior palette, along with a piano black grille, LED lights and elegant 18-inch alloys, now shod with premium 235/40 Michelin Pilot Sport 4 tyres. Apart from the absence of stand-alone navigation, the RS is well equipped at the price with dual zone aircon, auto levelling LED headlights, power adjustable driver's seat, heated front seats, electrically retractable side mirrors and alloy pedals as standard. Apple Car Play/Android Auto and digital radio are also included. Ostensibly the sports model, the RS strikes a fine balance between handling and ride comfort. Light and rigid, it can get away with relatively compliant suspension (independent at both ends) without sacrificing control. Even on rough roads at speed, the Honda rides smoothly and comfortably, though the Michelins are noisy on coarse bitumen. Honda's driver-first approach is evident in a twin cockpit front cabin and immersive, recumbent driving position, a la BMW. It's a stark contrast to the bolt upright, on-the-dunny perch you're forced into in many rivals. The Civic is one of the largest cars in this class, with plenty of rear legroom and reasonable headroom despite the raked, coupe-style roofline. The wide, deep boot - which at 520L is the largest in this class and bigger than some SUVs - can be extended with 60-40 split rear seat backs. Honda is playing catch up here, with mixed results. Its "Honda Sensing" driver assist tech suite, standard in the RS, includes adaptive cruise that, in the test car, frequently applied the brakes in error, mistaking a car in the adjacent lane for a non-existent one directly in front. A left lane change assist camera is no substitute for blind spot monitoring on both sides and rear cross traffic alert/braking is absent. Base VTi and VTi-S versions miss out on driver assist safety tech altogether. On the road, it's a mixed result, too. The RS badge, the sharp suit and aggressive wheel and tyre package suggest sports performance but the 1.5 turbo and CVT don't deliver. It's fine for day to day driving, with quite a strong, responsive launch feel, decent midrange tractability on a light throttle, and low fuel consumption. Around town, expect 7L-9L/100km, on regular unleaded. Cruising at 100km/h, it will do mid-fives. 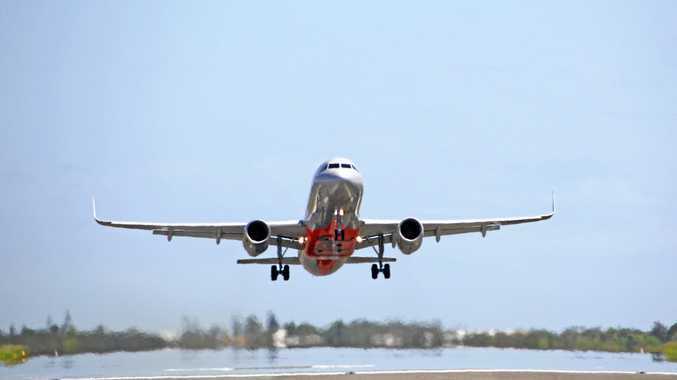 However when you put your foot down, the CVT takes about three weeks to hook up properly and convert the engine's anguished drone into meaningful forward progress. CVTs work best with small-capacity, naturally aspirated engines by disguising their lack of torque at low revs. 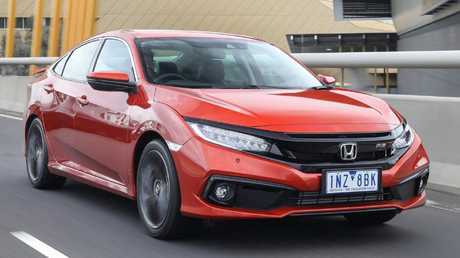 Honda's 1.5 turbo has a broad spread of accessible grunt (220Nm from 1700rpm-5500rpm) so a conventional auto, or dual-clutch transmission, would be far efficient at putting it to the road. The RS could certainly use a sportier engine and transmission combo, because it's one of the best handling cars in the class. At highway speeds it sits on the road with the confidence and security of a larger sedan and in corners responds with great agility and poise, assisted by light, precise steering and serious grip from its premium rubber. Honda is Japan's affordable prestige brand. I want something a bit classier than the usual shopping trolley hatchback. I'm after a small car with lots of interior space, big car comfort, A-grade quality and reliability and premium engineering. Similar in size to the Honda and walks the walk when it comes to performance, with 150kW/265Nm 1.6-litre turbo and seven-speed dual-clutch auto. Tidy handling at the price of a pretty hard ride. Seven years' warranty. Distinctly non-sporty with 115kW/196Nm 2.0-litre/CVT but, as with Civic, handling and ride comfort are highlights. AWD is a bonus and driver assist safety is among the best in class. The Civic RS is spacious, luxurious and very comfortable. It's pitched as a sporty drive and priced accordingly - but its turbo engine and transmission don't deliver on the promise.